His dream to become an American citizen is officially a reality. 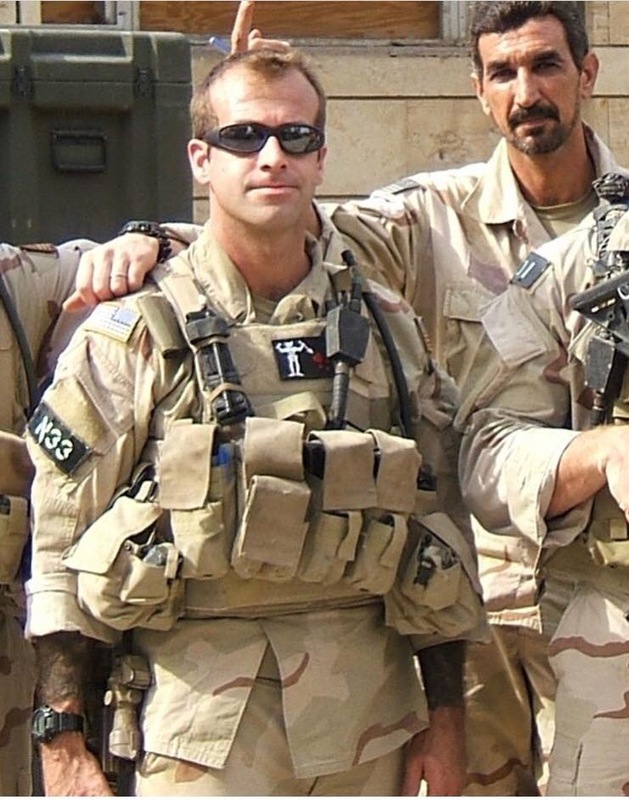 He went by the code name “Johnny Walker,” and now the Iraqi Navy SEAL interpreter who risked his life more than 1,000 times on missions with the U.S. military is a U.S. citizen. 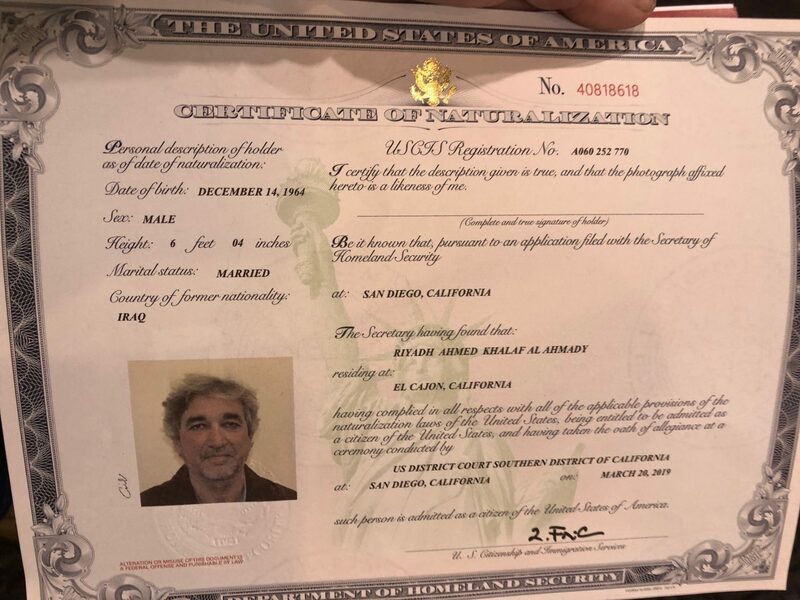 After waiting 10 years, and with the help of his “brother” Navy SEALs, Riyadh Ahmed Khalaf Al Ahmady, and his son and daughter, were sworn in as American citizens in San Diego on Wednesday morning. When he was living in Iraq, before the start of the war, the 6-foot-4 teenager was playing basketball and soaking up American culture. It was then that the dream of becoming an American citizen was born in Walker. He never questioned whether or not he would one day live in the United States and become an American citizen – it was only a matter of when. But then there was 9/11, and then-President Saddam Hussein repressed the Iraqi people. He started working as an interpreter, fondly called a “terp,” and after a few months became highly sought after by Navy SEALs. 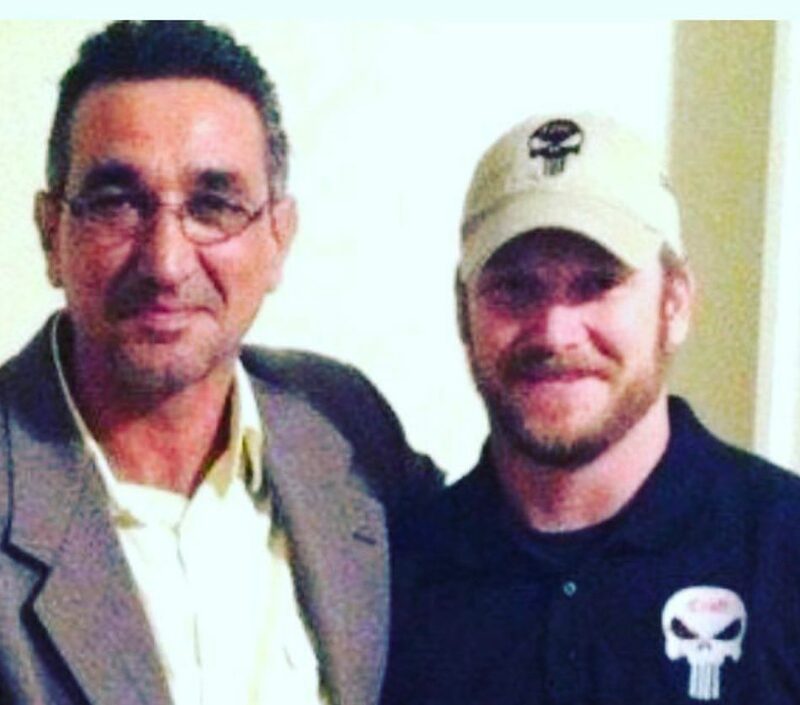 He was credited by Navy SEAL and sniper Chris Kyle for helping save American lives. Walker worked as a terp for six years, and Navy SEALs later helped him escape to the United States in 2009, after two attempts on his life. 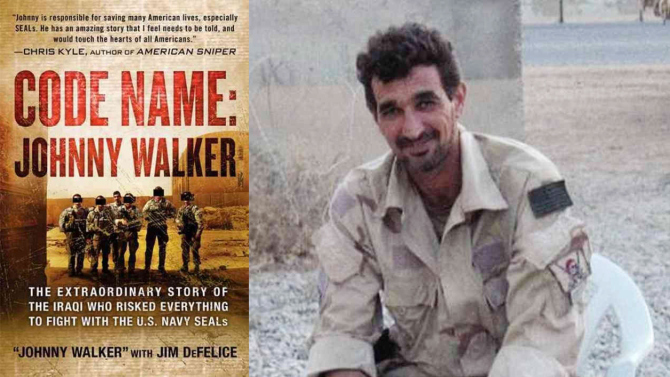 He wrote a book, “Code Name: Johnny Walker,” which was published in 2014. He now lives in California with his family and helps train U.S. special operations units. Now that his dream has come true, it’s a huge responsibility to him, Walker said. That vow, he said, was not made in front of a crowd – “It’s between me and myself,” he added. His next mission? Walker wants to embark on a cross-country trip and explore the country and America’s history. “I want to feel what it was like when the American people had nothing – only a wagon and faith, future – when they traveled from the East Coast to the West Coast, facing mother nature and other difficulties. I want to see those peoples’ journey and be a part of it,” he said.